Midwest Moma Blog: A Ten Year Anniversary Times 2...and a MAJOR Milestone! A Ten Year Anniversary Times 2...and a MAJOR Milestone! On May 23rd, 2003 my life changed forever! I was 18, had a 13 month old son (Jayson), and was completely unprepared for the events that took place between May 22nd and 4:40 am May 23rd. At exactly 4:40 am, my father slipped from this world to the next while I lay asleep curled up at his ICU bedside. 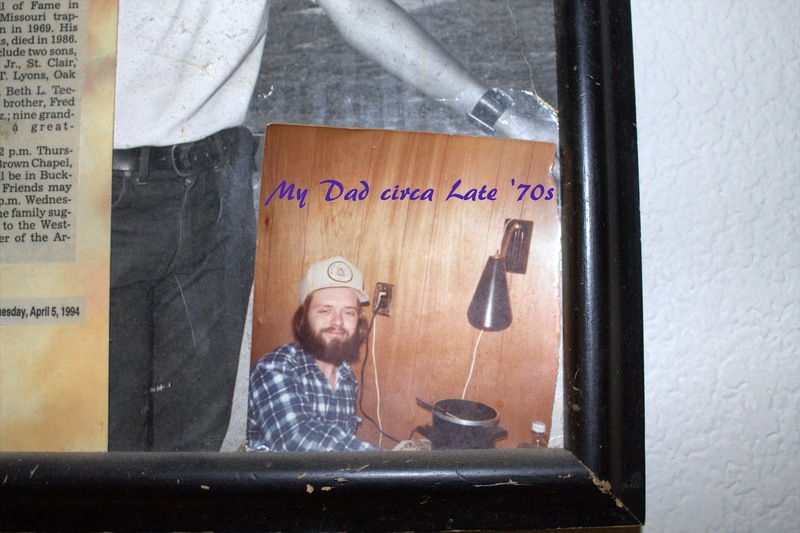 He was 47 years, a young man as I look back on his life. A man gone before his years should have ended.....and completely at his own hands. 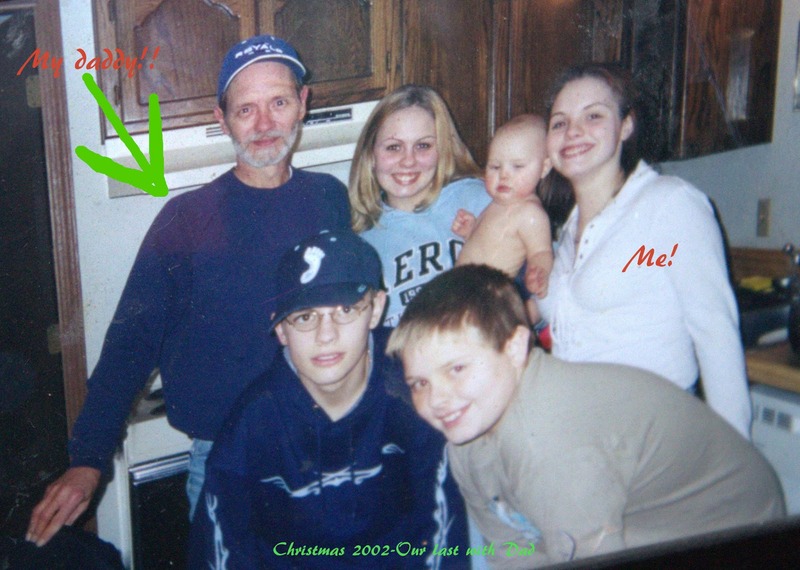 My father didn't commit suicide in the traditional sense, but he knew that this behavior was slowly killing him and he still couldn't stop. In 1988, he was diagnosis with Pancreatitus, a disease of the pancreas that is brought on my excessive alcohol consumption and stress. The only cure, to quit drinking and reduce the stress in one's life. My father did neither. As I grew up and watched my father grow sick, I knew his death was just a matter of time and I prayed that he would live long enough to watch his grandchildren grow. On May 8th, 2003 he was admitted to the hospital for what seemed like a routine draining. By May 21st, he was scheduled to be released just in time to attend my high school graduation at 6 p.m. on May 23rd. Over night between the 21st and the 22nd, my father did two amazing things; he asked for "the tube" something he had refused in the past claiming he didn't want to be kept alive the same way his father was (who was brain dead for 15 days before all the siblings finally signed the paperwork to turn it off) and he survived 16 small heart attacks. His body was shutting down.....and he knew it. Over the next 24 hours, his five children came and said goodbye. The two of us that were of age, signed the proper paperwork to turn off his oxygen machine when his heart stopped, just as he wished. That still marks my life as the hardest decision I have ever made. At 4:40 am, the day of my high school graduation, my father died. There is only one death that I believe would ever be worse then this....and that is the death of a child, my child. God willing, I will never be asked to survive that. 10 years have passed since that strange and heart-breaking day. I still remember the warmth of my friend's hand as we walked side by side to our seats at graduation. I still remember what he said to me before we parted to take our seats. I remember the words of my father's friend, my high school principal, as he announced a moment of silence to my classmates and informed them of my loss just 14 hours before. I remember the surprised stares I got from the girls sitting around me and the smell of my father's favorite shirt under my graduation gown. I remember that feeling of pride, knowing my father was watching despite his transition earlier that day. In the 10 years that have gone by, I have done amazing things. I have lived through terrifying events. I have given birth to three more children and I have found my daddy's little girl over and over again. I am not where I thought I would be 10 years ago. I know back then, it felt like forever! It's today :) I love where I am, I love that I still have goals and mile markers to reach. I find it enlightening that my oldest son has one of his biggest milestones on this 10 year anniversary. He is currently attending his last day of elementary school! There is a very emotional "March to Middle School" coming in about an hour and half. My son and his classmates will walk the halls of elementary school for the last time at about 10:40 this morning! I love that little boy! He kept me grounded 10 years ago. If it weren't for him, I would have taken a much darker path after my father died. I owe my life to him! 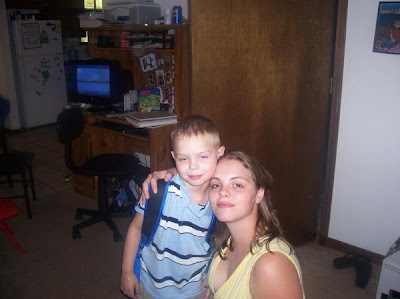 Here is my baby on his first day of Kindergarten! I will post later today a little story about my soon-to-be 6th grader!